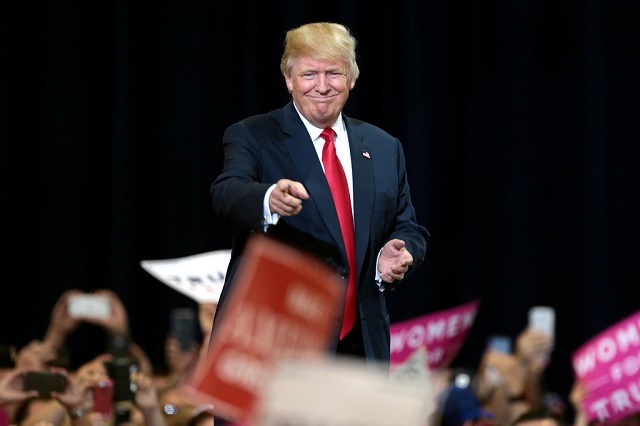 President Donald Trump defended the students of Covington Catholic High School on Monday night saying it's looking like they were "treated unfairly" and "smeared by [the] media." "Looking like Nick Sandman[n] & Covington Catholic students were treated unfairly with early [judgments] proving out to be false - smeared by media," Trump tweeted. "Not good, but making big comeback!" "New footage shows that media was wrong about teen’s encounter with Native American," he added, quoting Tucker Carlson who aired a piece on the students Monday night. Tucker noted how establishment servants on both sides of the aisle -- from Bill Kristol to National Review to Kathy Griffin and Reza Aslan -- attacked the students before getting the facts. Tucker said Kristol "quietly deleted" his tweet when the facts came out. "[W]hen the actual facts emerged, Kristol quietly deleted his tweet," Tucker said. "He never apologized of course. He hasn't apologized for the Iraq War, either." Tucker went on to note how the members of the media demonizing these kids are actually the most privileged people on the planet and pointed out how these students are actually at the bottom of the progressive stack because it's perfectly acceptable to demonize them. 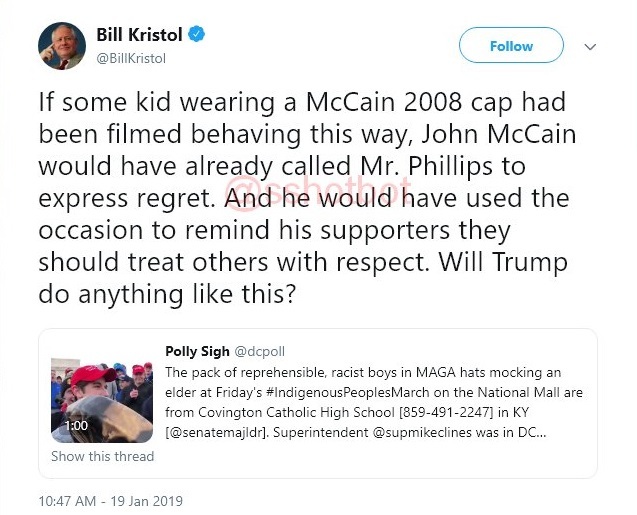 As you can see in the tweets above, Kristol wanted Trump to denounce these students -- which he called "MAGA brats" -- based off an out-of-context 1 minute clip which said the students were "reprehensible" and "racist." He hailed Nathan Phillips -- a grown adult who lied about these students in an attempt to ruin their lives -- as the epitome of "calm dignity and quiet strength." According to Kristol, walking up to a group of children and getting up in one of their faces to bang a drum inches from their head qualifies as "calm dignity and quiet strength."